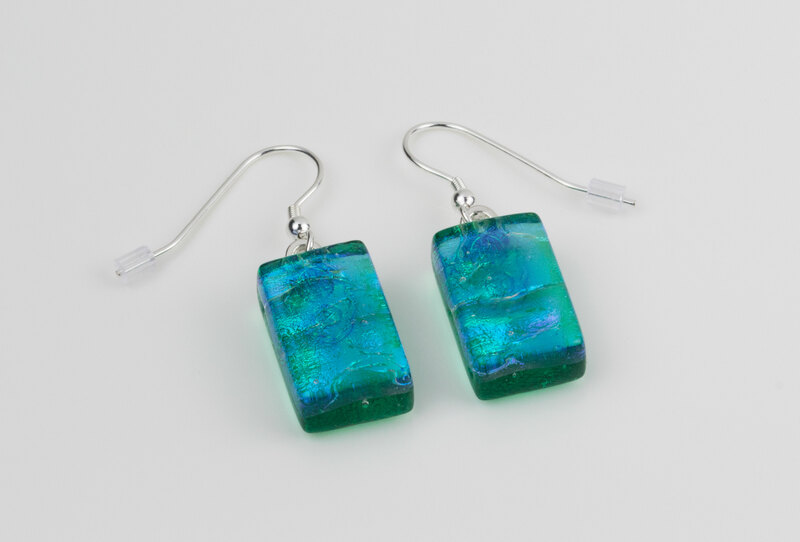 Handmade drop earrings combining emerald green transparent glass and green ripple dichroic glass. 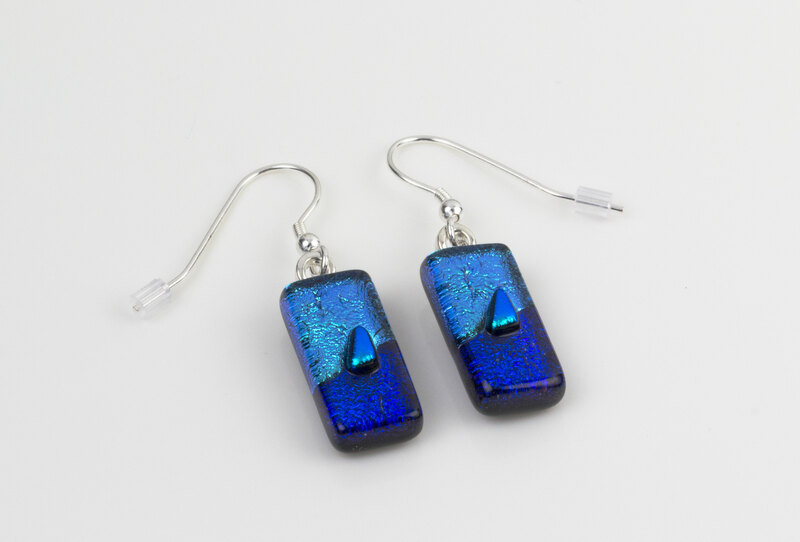 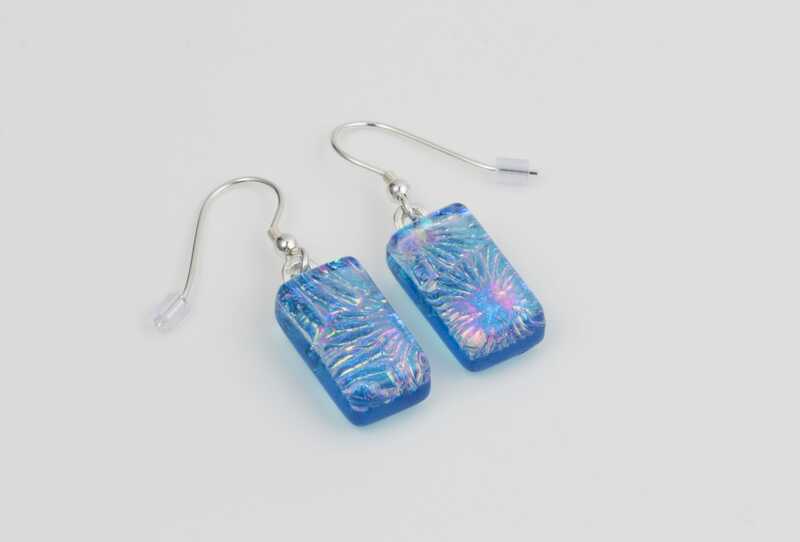 These fused glass drop earrings, dominated by the emerald backing glass and topped with the strongly textured green ripple dichroic glass is edged with a purple hue. 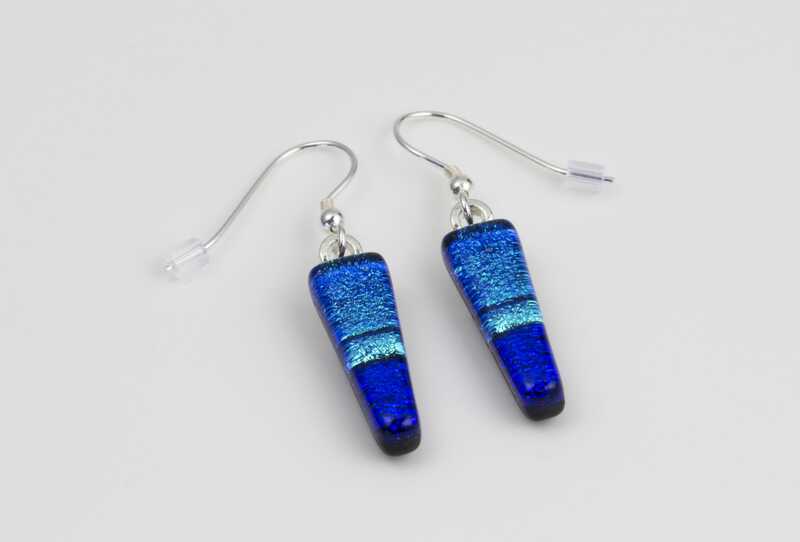 Distinctive jewellery handmade in UK. 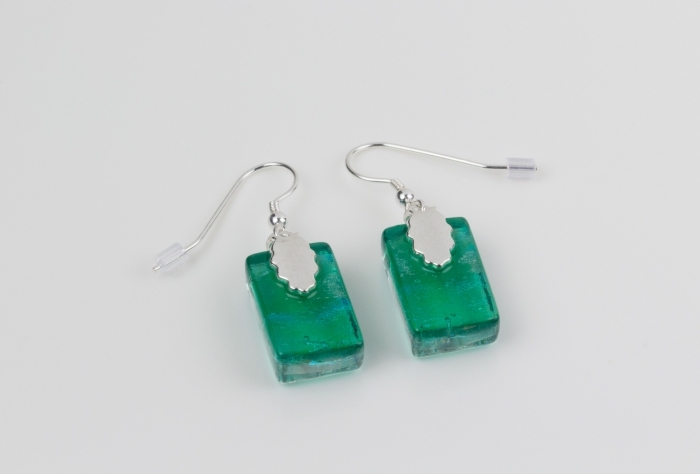 Accompanies the Green ripple glass pendant.